For unit cohesion and consistency we have each of the two sides at CWG events pretend to be part of a real army. For a number of reasons, neither of them emulate any actual real world army, and we do not require significant doctrinal or tactical standards. To assist with getting into the role and feeling like a unit, insignia are available to be worn, and we have created some background, such as these pages describing the armies as though they actually exist. The Army of the Republic of Kitoy (ARoK) is a sizable branch of the armed services of Kitoy. When the army was restructured as part of the 1997 Truth and Reconciliation Commission it was downsized to a more sustainable force, down from 45,000 to 27,000 regular and reserve units, of these only 12,000 personnel are full-time soldiers with about half of them constituting combat arms. Funding has remained relatively stable however, and this means that the army is in the midst of modernizing their forces. While paltry by first world military spending standards the complete overhaul of military equipment has brought military equipment up to a high standard. The army, which previously had broad internal powers, is now used only as an expeditionary force into the Grafsten Highlands. The National Federal Police now exclusively handle internal criminal investigations with careful separation of police and military authority. The natural resources of the country are sparse, but its economy is mostly supported through extensive farming and fishing. Kitoy is self-sufficient in food production. Agriculture earns 40% of the country's foreign exchange, with the fishing industry making up the rest. The country itself is mildly prosperous, and spends a large portion of their GDP on maintenance of their military. Kitoy military personnel often receive training from French or American instructors, with higher ranking Officers attending the French Joint War College or the US War College. The army is currently a disciplined force, with good professional leadership and a demonstrated willingness to fight. The army’s equipment acquisition program has significantly improved the service's operational capabilities. At the turn of the 19th century indigenous clay miners discovered valuable salt deposits in the Highlands and within a decade there were dozens of salt operations across the Highlands. Additional minerals were discovered and foreign companies (especially British and French ones) invested in mineral exploitation and transport. These operations often disregarded the poorly defined National boundaries. Starting in 1830 the then Kingdom of Ardea was the first to use soldiers to gather taxes, repossess mines and forcibly eject foreigners from their territory. With money at stake use of troops by both sides escalated and legal actions followed, some of which are still ongoing. The conflict died down during and after the First World War and the inter-war period saw little attention paid to the region as the value of the traditional commodities (lumber, clay, salt, turpentine, and so on) became too low to make it worth the effort. After the Second World War American oil and gas companies using new technologies and new understanding of geology to survey the area discovered modest oil reserves in the area. Often times these companies would purchase mineral rights in the disputed territory from both governments simply to protect their interests. Estimates of the reserves vary widely, but it is now valuable again, and with the long-standing disputes there is little hope of any resolution soon. A handful of offshore wells are operating and the two Navies and Coast Guards spend much of their time facing off over the disputed border in coastal areas. Military operations have ebbed and flowed but since the 1960s they have been quite regular and are largely concerned with obtaining generalized control over the area. Most frequently these operations are in support of legal maneuvering within the courts. While several foreign companies hold mineral rights in the area no drilling or mining company will commit to operations with this unrest. Complicating matters both Kitoy and Ardea have banned permanent settlements since the 1970s. There are numerous abandoned villages, and the roads and bridges built between 1930 and 1955 are generally in poor condition. The deep divisions in Kitoy politics that were to shape the country's modern development emerged shortly after independence in 1810. The tension between large land holders and small farmers was at the root of much of the conflict. The historically marginalized rural areas of the country were the province of bandits and the central government spent considerable resources in an effort to tame their ungoverned spaces. 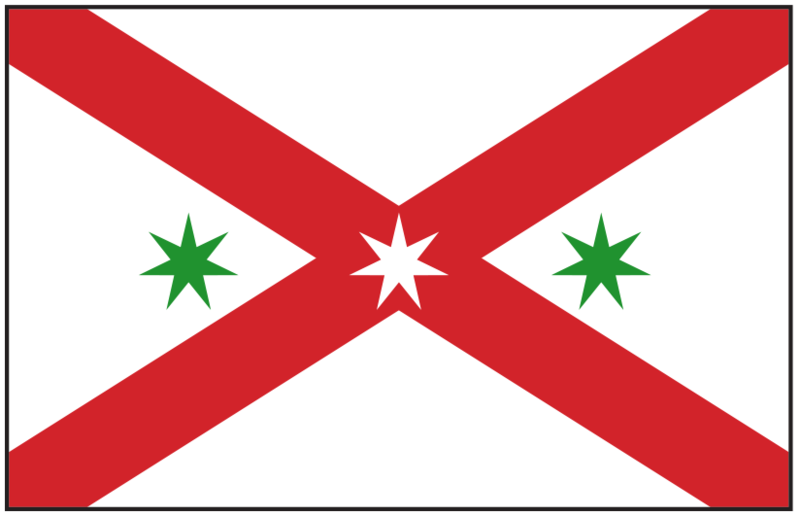 The nebulous state of the borders in the Highlands, the root of the conflict with Ardea, can be traced to the influence of the originally weak central government. The rugged terrain favored infantry and the bulk of the forces fielded by Kitoy are historically infantry formations. While the Kitoi are deeply hierarchical, they are also fiercely individualistic providing the building blocks of aggressive and capable infantry. There is little direct lineage with older formations for political reasons. A set of composite paramilitary units under a unified command were formed after serious Ardean gains in the 1953 campaign season. Intended to be temporary, instead, these formations formed the basis of the Kitoy army until the reforms instituted after 1997. 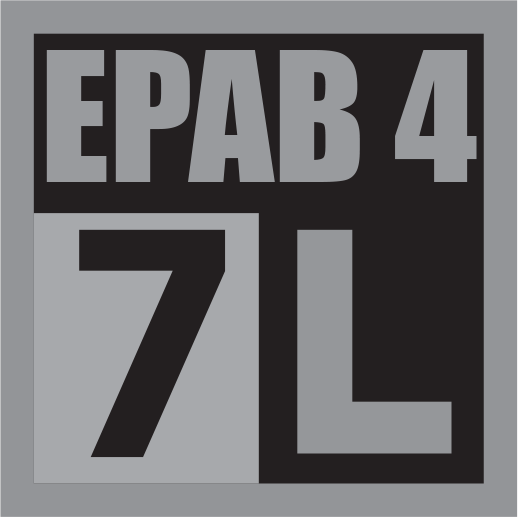 EPAB-4 is one of several Brigades, now fully integrated into the Army's command, control and logistics structure. The Brigade operates only in the disputed Grafsten Highlands region, usually deploying about half the unit operationally, with the rest in training or held in reserve. The Brigade is organized into Companies with individual roles. The 7th Company is designated "Light" meaning light infantry, and specializes in hilly or mountainous terrain where mechanized forces are less effective. It has few organic vehicles, and no heavy weapons that cannot be man-packed. In the mid-1970s the war was not progressing as Army leaders had promised, the government began cutting budgets. Popular opinion wasn't ready to tolerate spending on something with no clear outcome. It's never been clear what the first real change was but by 1977 the Army had been granted Special Executive Powers to conduct operations as they related to the Highlands, almost anywhere in the country. By the 1980s almost any pretense – often simply being opposed to these Army policies – was enough to be taken from your home in the night, held at secret prisons and interrogated by special army units. By the late 1980s, the size of these units and their scope of control had expanded into every facet of government. Overly-aggressive pursuit of a very small internal terrorist network led to abuses including torture, mass incarceration, and government sanctioned assassination. Civil war was avoided through a fortuitously-timed election, leveraging the remaining power of the National Federal Police, and the efforts of a handful of politicians and bureaucrats working to a careful plan kept the country together. The result was the 1997 Truth and Reconciliation Commission. While this kept the country from descending into chaos, the effects on the Army were extraordinary. Almost no one went to prison. Nearly the entire staff of the armed forces were fired and had to re-apply for their jobs. More than half were not accepted due to their history, were rejected by testing, or simply refused to re-apply.The Truth and Reconciliation Commission influence resulted in changes to the Kitoy National Police, the Justice Administration, and the Army. The Army would open their records and admit that senior leadership officially authorized thousands of crimes, from lying to Parliament to outright murder of sitting elected officials. Units with particularly troublesome histories were struck from military roles and numerous symbols and practices banished. The 1999 National Armed Forces Act created the KAF as an entity, added new policies, and a formal layer of oversight and investigation. The core ideals of civilian oversight and professionalism are at the heart of the new army. The soldiers espouse these ideals to the core. 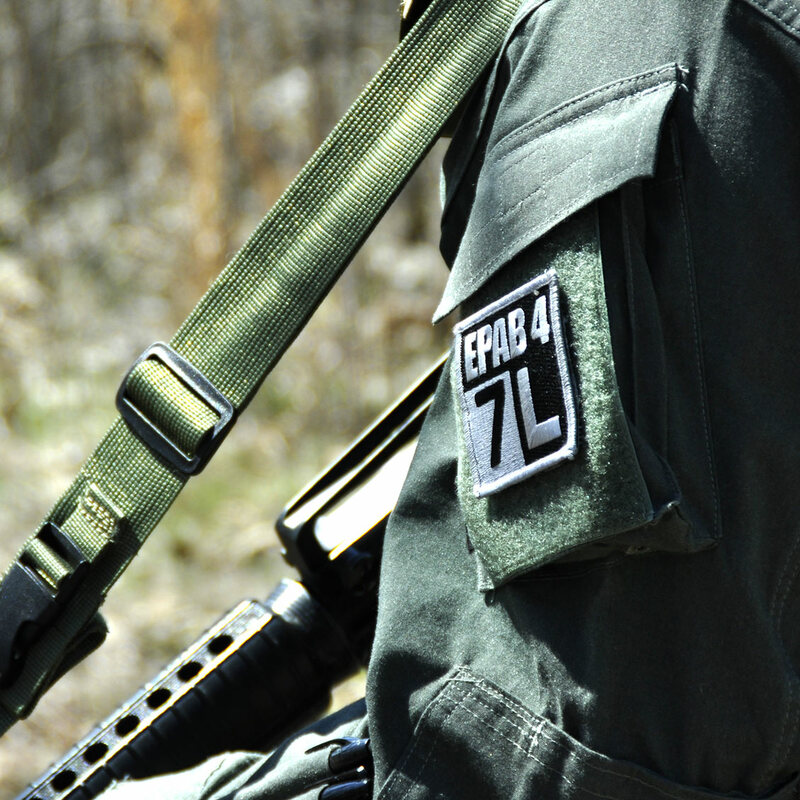 Their unit patches express the new, sanitized ideals on their shoulders. Old units were entirely swept aside and replaced with all new organizations. These Expeditionary Protective Area Brigades and support Companies are very, very different from the ancient, tradition-bound formations. Unlike the Army of the 1980s there are no more skulls with daggers in their teeth, just letters and numbers. Army leadership is very, very serious about these symbols of the previous regime. While officially banned, every Soldier knows the old unit insignia. Many unofficial symbols and once-secret insignia of the death squads are in miniature museums at most bases. Every recruit is lectured on what they meant and why this is no longer acceptable or productive. This emphasis on a modern professional Army signals a bright new future for the Kitoy Army. The military service law stipulated that all Kitoi males, upon reaching eighteen years of age, are obliged to present themselves for military service, those who have fulfilled their service are maintained on the reserve roles until 50 years of age. The brunt of the draft is borne by the poorer sectors of the population. They can't afford the escape routes of enrolling in college or paying a special sliding-scale tax. As a result, 90 percent of drafted youths come from the lower classes. Although youths from middle-class families are being increasingly called on to complete their military service, those from wealthy families continued to evade the obligatory service requirement. With the new emphasis on a professional military force the term of service is now one year, reduced from the previous requirement of two years' service. The requirement can be fulfilled by duty with the Army, the Navy, the Air force, or the National Federal Police. Around 90 percent of these youths complete their service with the Army. Those individuals considered candidates for the noncommissioned officer (NCO) corps are selected from the volunteers in each conscript class. In turn, those who wished to become career military officers are screened by a board of officers and are required to pass an examination in academic and practical military subjects. Upon meeting these minimal requirements, the individual is appointed to the lowest NCO grade. Gaining admission to the Military Cadet School—which is considered difficult for most enlistees, given the school's high educational and physical entrance requirements—is viewed as a prerequisite for a career as a commissioned officer. Consequently, the wide gap between enlisted personnel and the Officer corps—a function of the disparity between the two groups' socioeconomic standing and educational background—generally means that there is little opportunity for NCOs to become commissioned officers. Military promotions for the NCOs and the commissioned Officer corps are strictly regulated by law. Promotion for the higher ranks of the commissioned Officer corps requires congressional approval. A variety of decrees and statutes established the professional requirements for an officer to achieve a specific rank. These laws also spelled out the minimum number of years that an officer had to remain in a rank before being eligible for promotion, the obligatory retirement age for each rank, and the maximum number of officers in each rank. Generals are required to retire at the age of sixty-five. It was not uncommon, however, for Congress to pass exceptions to this regulation to be made in the case of high-ranking military officials. The purges and the change in focus on a different kind of professionalism means there very few troops with more than about 15 years of service. In the early 2000s this was considered a serious problem but in the intervening years those young soldiers have become the leaders of the new army. In practice this has allowed the far reaching changes and rapid modernization of the Kitoy armed forces to proceed relatively rapidly. Indications are that the rigid hierarchy is falling by the wayside, with merit rather than social status as the leading reason for promotion in the forces. Retention rates are going up and career service in the armed forces is considered to be an honorable profession.